WHAT TYPE OF INFORMATION DOES ROCKIN’ JUMP COLLECT? When you use this Site, we may collect information about you in the following ways: Information You Actively Provide. We collect the personal information you actively provide (using your mobile device, mouse or keyboard) when you use this Site. You may choose to provide certain personal information in order to access or use certain features or services of the Site, such as filling out an electronic waiver, making a purchase, jumping at one of our parks, purchasing a membership, requesting information, filling out an employment or franchise application, entering a sweepstakes, or otherwise contacting us. Such information may include your name, phone number, e-mail, mailing address, credit card number, or other information depending on the purpose for which you provided the information. You can always choose not to provide information, but you may not be able to use a particular service or feature on the Site. Information Sent to Us by Your Web Browser. We collect information that is sent to us automatically by your web browser. This information typically includes your computer’s IP address, the address of the web page you were visiting when you accessed our Site, the name of the operating system installed on your computer, the name and version of the browser you are using, the URL of the page from which you linked to our Site, and the date and time of your visit. The information we receive depends on the settings on your web browser. Please check with the developer of your browser if you want to learn what information the browser sends or how to change your settings. The information provided by your browser does not identify you personally. We use this non-personal information primarily to create statistics that help us improve our Site and make it more compatible with the technology used by our visitors. We may link this non-personal information with your personal information as we deem necessary for our business purposes. If we suspect criminal activity, we might share our server logs — which contain visitors’ IP addresses — with the appropriate investigative authorities who could use that information to trace and identify individuals. Learn about the ways visitors use our Site – which pages they visit, which links they use, and how long they stay on each page. We may link the information collected by our cookies to information that identifies you personally and store it with other information we have collected from or about you. You have the ability to set your browser to reject cookies, however, if you set your browser to reject cookies, you may not be able to use certain features and functionality of this Site. Our Related Companies and Franchisees. We may share personal information collected through our Site with our parent company, subsidiaries, or affiliates for our or their applicable business purposes. 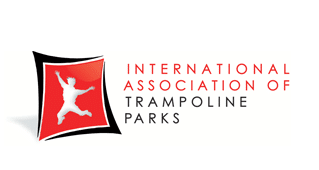 In addition, if you join one of our parks or express an interest in one of our parks, we will share your information with that park, which may be a franchise of ROCKIN’ JUMP. Information we collect about you on this Site may be combined with information you provide at your ROCKIN’ JUMP park. Our Service Providers. We may share certain personal information collected through our Site with companies and organizations that perform services on our behalf. Our online store is hosted and provided by a third party, so we will share all information necessary to process and fulfill your purchase with that third party service provider. In addition, we may share your information as necessary with other service providers such as companies providing data storage, web hosting services, customer service, and other service providers, for purposes such as customer and member management, completing online purchases and information requests. These companies and organizations are required to use the personal information we share with them only to perform services on our behalf (and not for their own purposes) and to protect its confidentiality. Other Limited Circumstances. There are other limited circumstances in which we may share the personal information in our databases with unrelated third parties. For example, we may disclose the personal information we collect through the Site when we, in good faith, believe disclosure is appropriate to comply with the law or a regulatory requirement or to comply with a subpoena or court order; to prevent or investigate a possible crime, such as fraud or identity theft; to enforce a contract; to protect the rights, property or safety of ROCKIN’ JUMP, our members, customers, and visitors to our Site, or to protect the vital interests of our customers or visitors. Unfortunately, no data transmission over the Internet can be guaranteed to be 100% secure. As a result, while we strive to protect your personal information, ROCKIN’ JUMP cannot ensure or warrant the security of any information you transmit to us or from our online products or services, and you do so at your own risk. Information you provide when you make a purchase, fill out an electronic waiver, or when you become a member of one of our parks or a franchisee, is encrypted using 256-bit encryption. Transmission of credit card account information is encrypted using 256-bit encryption and all other account information such as expiration date, name and address is encrypted using PGP public key. All communication between you and ROCKIN’ JUMP through our Site utilizes SSL encryption. Three levels of security are used in a combination of symmetrical and asymmetrical encryption. In addition, once we receive your transmission, we use reasonable efforts to ensure that collected personally identifiable information is secure and not readily accessible to unapproved individuals or third parties. RockinJump.com has limited the number of people who have physical access to our database servers and has implemented electronic security systems and password protections which help further guard against unauthorized access. You may change the information you provide to us by contacting the park you participated at. You may ask to have your account information deactivated from our active databases by sending an e-mail to info@rockinjump.com with a request that your information be deactivated. We keep your personal information only as long as we need it for the purposes for which it was originally collected (or to which you have subsequently consented) or for other legitimate purposes (such as regulatory compliance), or as permitted by applicable law. This is a commercial website and is intended for individuals over the age of 18. If you are under 18, use of this site requires the permission and supervision of your parents. Additionally, children under the age of 18 should refrain from submitting any personal information through this Site.